You see that shadow? 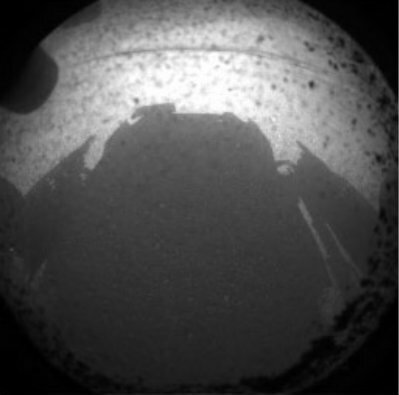 That’s the shadow of the Mars Science Laboratory, Curiosity, shortly after touching down on Mars. That shadow is what gave us confirmation that she survived one of the most difficult landing procedures in NASA’s history. It’s a beautiful image and I’m not ashamed to admit that it moved me to tears. That single image is simple and rough compared to what we’ll see in the coming months, but it’s a reminder of the awesomeness that humans are capable of achieving in the name of exploration and science. I’ll admit it. If blogging were a muscle, mine would be soft and pudgy. School effectively curtailed my blogging time and dealt me a worse problem than a lack of material with which to work: I fell out of the habit of blogging. And I am quickly learning that getting back into that habit is more challenging than the writing itself. Even my Meteorite Monday posts, which were meant to give me an easy writing outlet, became a victim to my procrastination. So to help myself get back into the habit of blogging, I offer up one of the coolest videos that has ever come out of NASA/JPL. It’s a video that shows some of the challenges of landing the latest Mars rover, Curiosity, on the red planet. Some will probably deride the video for being overly dramatic and looking like a slicked up Hollywood production. And it does look that way, but the science is real and the people at JPL did a great job communicating the excitement that comes from doing honest, real science. So much so that it’s part of the changing background on my laptop and the banner photo on my Facebook page. I love it so much that my opinion of Mars is slowly starting to change from meh to how cool is that. Of course, I also blame that on my astrogeology course where we’ve spent about a week and a half covering Martian geology. Never thought I’d hear myself say this, but I’m actually sad that we’re wrapping up our tour of the Red Planet this week and moving on to Venus. 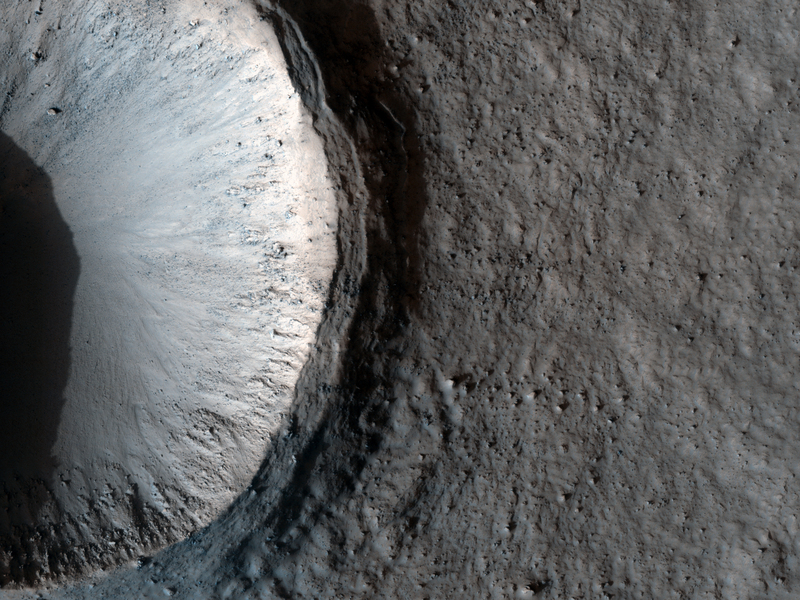 Just means I’m gonna have to spend more time digging through all the cool images found on the HiRISE site. One of my favorite things to do is peruse the images returned by the Mars Hi-Rise Mission. 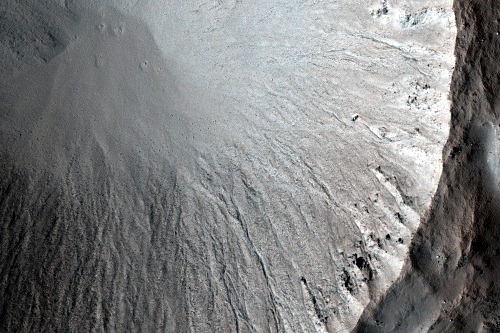 I’m always blown away by the level of detail that the digital cameras reveal about the geological features of Mars. Seeing the dried out river beds, the wind sculpted terrain and the immense sand dunes is a stark reminder of the similarities possessed by both the Earth and Mars. With the Mars Hoax e-mail floating around, it’s nice to know that we can use actual science to get all the close-ups of Mars that we want without hoping that an internet rumor will turn out to be true.